The Nigeria Police Force Headquarters has revealed that it would soon arraign billionaire kidnapper, Chukwudidumeme Onuamadike, otherwise known as Evans. The force was reacting to the recent media report that the notorious criminal had vanished from custody. 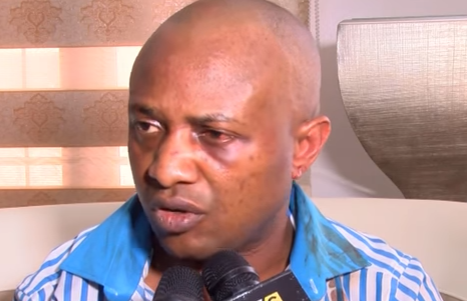 Jimoh Moshood, Force PRO in a statement issued on Saturday and sent to DAILY POST, said the report of Evans’ disappearance was untrue and should be disregard. He said the suspected kidnapper was with the police and would be charged to court as soon as soon as investigation was completed. He said, “Evans is intact in Police Custody, investigation into all the crimes he has committed which include several kidnappings, armed robbery and murder are ongoing. The Police have made significant progress in the investigations of these crimes. “The public should disregard and discountenance all media reports in the social and print media that he has vanished or released and all criminal charges against him dropped as UNTRUE and ABSOLUTE FALSEHOOD.